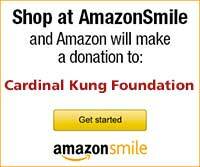 Stamford, Connecticut, U.S.A. - The Cardinal Kung Foundation, an advocate of the underground Roman Catholic Church in China, reports that only 2 months after the arrest of Bishop HAN Dingxiang, another underground Roman Catholic bishop, Archbishop John YANG Shudao of the Archdiocese of Fuzhou in Fujian Province, was arrested February 10, 2000 by approximately one hundred fifty public security police around midnight. The archbishop's whereabouts are unknown at this time. Archbishop Yang, born in Lianjiang County, Fujian Province April 16, 1919, is almost 81 years of age. He was previously jailed for at least 30 years. He was first arrested and sentenced to life imprisonment in 1955 for his refusal to denounce the Pope as the supreme authority of the Roman Catholic Church and for his refusal to cooperate with the government to form a Chinese independent church, the Catholic Patriotic Association. The Chinese communist government controls this Patriotic Association church and it is the only church sanctioned by the government as the official church. All other religions are illegal. 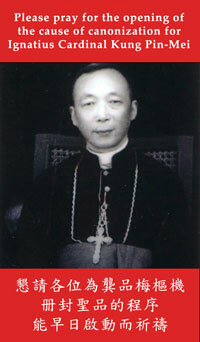 Archbishop YANG was released in 1981, having served twenty-six years. He was arrested again in 1988 and served another three years. Since then, he has been re-arrested many times. Joseph Kung, President of the Cardinal Kung Foundation, said: "Contrary to the claims by the Chinese totalitarian government that there is religious freedom in China, there are at least eight Roman Catholic underground bishops (AN Shuxin, HAN Dingxiang, JIA Zhiguo, LIN Xili, SU Zhimin, XIE Shiguang, YANG Shudao, ZHANG Weizhu), and scores of priests and lay persons now in jails. In addition, many underground Catholic bishops and priests are also under house arrest or under severe surveillance. For every person we reported as arrested, many of others arrested are unreported because we do not have the information." "The campaign of forcing the underground Catholics to join the communist created and sanctioned Patriotic Association is being carried out across China en masse. A Chinese communist 'Donglai secret document' released by the Cardinal Kung foundation on January 10, 1997, urged the local leadership to employ 'resolute, decisive and organized measures... to eradicate the illegal activities of the underground Catholic Church.' According to another document dated August 17, 1999 reported by FIDES, the Chinese government's plan that 'the underground Church ...must be eliminated by re-education, force labor, dismissal and isolation of stubborn priests and bishops' is being carried out in earnest. The persecution of underground Roman Catholic continues and is escalating even when China has achieved impressive economic progress. While many free countries lobby hard for China's membership to the World Trade Organization (WTO), China has no hesitation to continue its arrests of the leadership of the Roman Catholic Church in China." "I wish to appeal once again that the government of the Peoples Republic of China releases immediately all prisoners of conscience and that, in negotiating with China to enter the WTO," Kung continued, " the countries of the free world must take serious consideration of these ongoing and atrocious religious persecutions in China. Any invitation or encouragement to China's entry into the World Trade Organization would be immoral and amounts to condoning the five decades of religious persecutions in China."